Japan celebrates Valentine’s Day on February 14th, but with a bit of a Sadie Hawkins twist; there is a strong tradition of women buying or making chocolate for men. Be it store bought “Giri-choco” (obligation chocolate) meant for platonic friends or home made “Honmei-choco” meant for romantic partners, February in Japan means lots of chocolate. It also means lots of strawberries, as the month falls smack in the middle of the peak picking season. So it comes as no surprise that this Valentine-themed TokyoTreat box embraces the flavors of the holiday, featuring several treats that combine the February favorites of strawberries and chocolate. 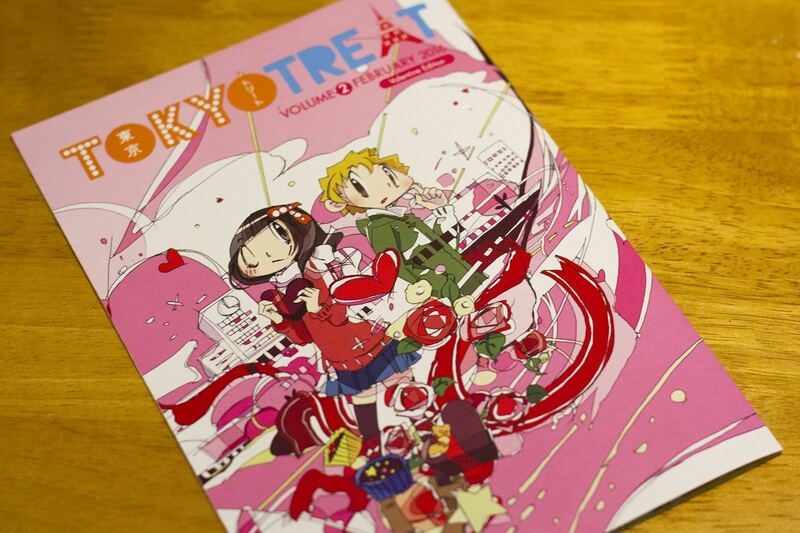 TokyoTreat offers full-sized candies and snacks shipped you each month straight from the heart of Japan. There are three different subscription options: the 1-pound Small box is $14.99 for 5-7 snacks and candies, the 1.5 pound Regular box is $24.99 for 8-12 snacks and candies (1 DIY kit), and the box reviewed here, the massive 2.5 pound Premium is $34.99 for 13-17 snacks and candies (1 DIY kit, 1 drink and 1 special item). For all of the boxes, shipping is free worldwide and you can cancel anytime. 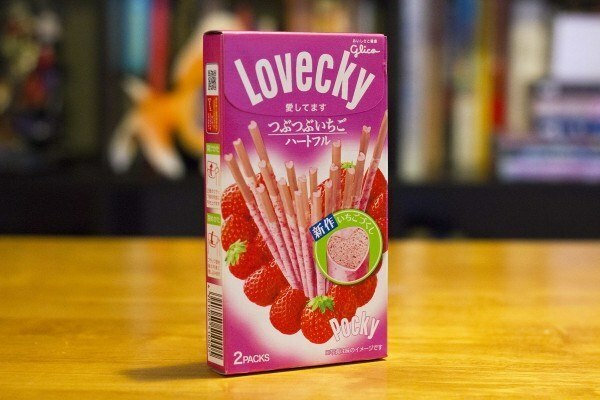 Heart-shaped pocky? Sure, when viewed under an electron microscope maybe. Despite not delivering on the box’s bold photoshop promise, this newer offering from pocky purveyor Glico was one of the best snacks in this month’s box. That’s because there are flecks of real strawberry mixed in with the strawberry-flavored icing, giving these a fresh from the vine taste. 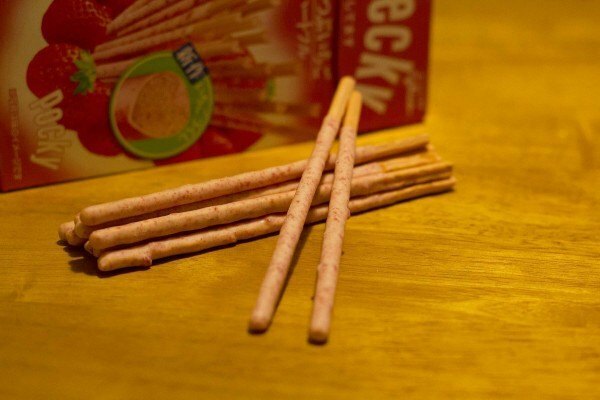 The biscuit stick also seems to be more aerated than your typical pocky, giving it a crispier crunch. 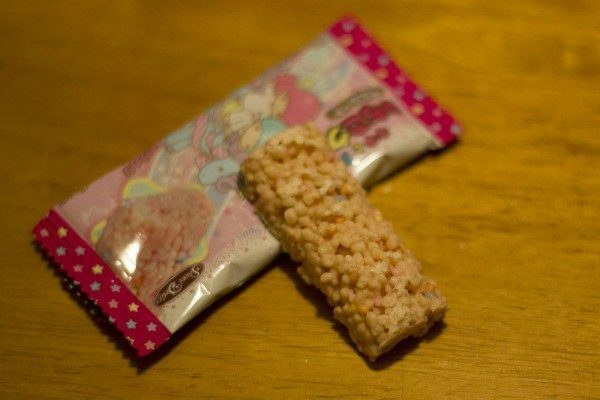 This was an adorable baby Rice Krispie Treat! 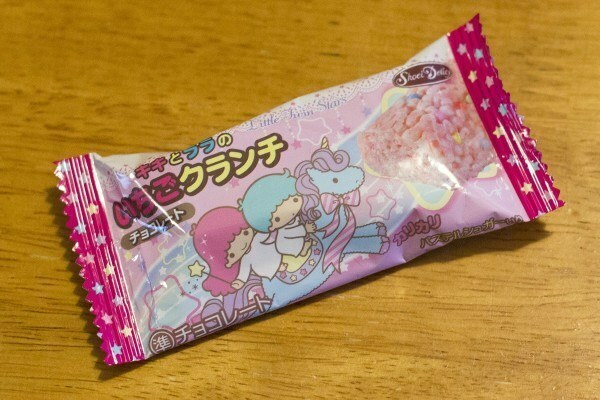 Only better, because it was strawberry flavored and filled with tiny candy sprinkles. 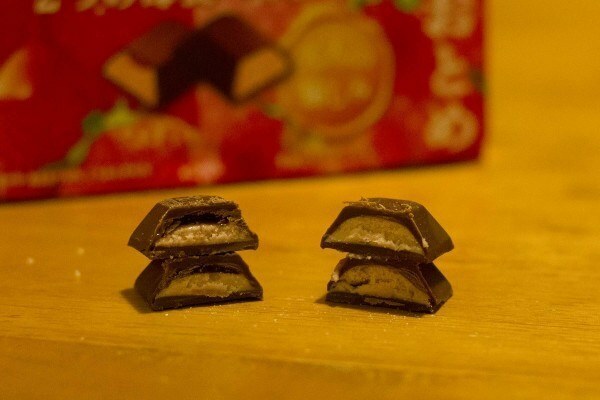 LOOK is a popular, semi-fancy chocolate made in Japan by confectionery company Fujiya, often containing a scrumptious creamy center; it’s like a Caramello, but with whipped mouse filling. 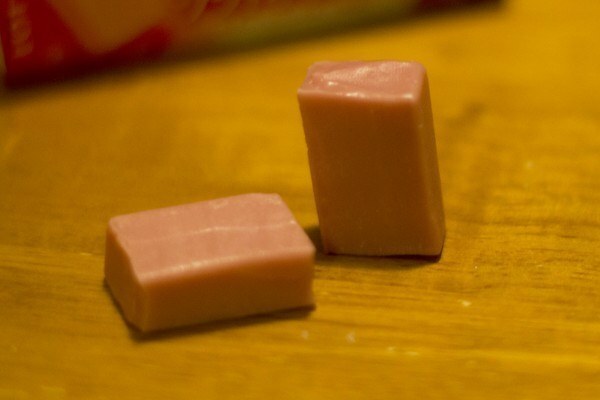 These milk chocolate encased morsels of creamy strawberry flavored goodness came in two varieties: with and without strawberry flavored jelly, which intensified the strawberry flavor. 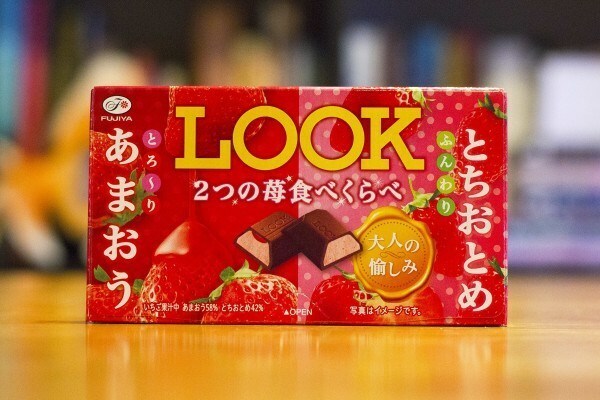 Send more LOOK chocolate, Ayumi-chan! As soon as I opened the bag I got a nose hair searing blast of taco seasoning spices! 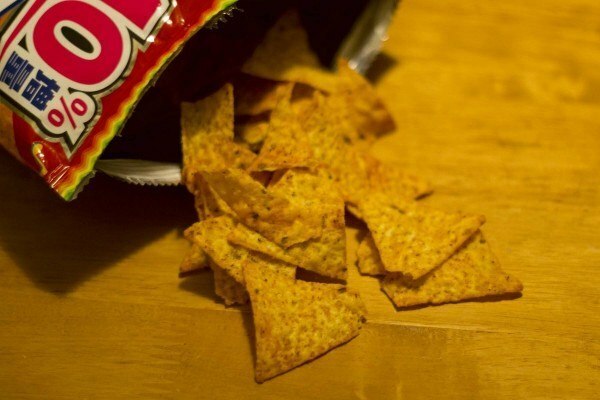 These taste exactly like Doritos, generously coated in the contents of a taco seasoning packet. 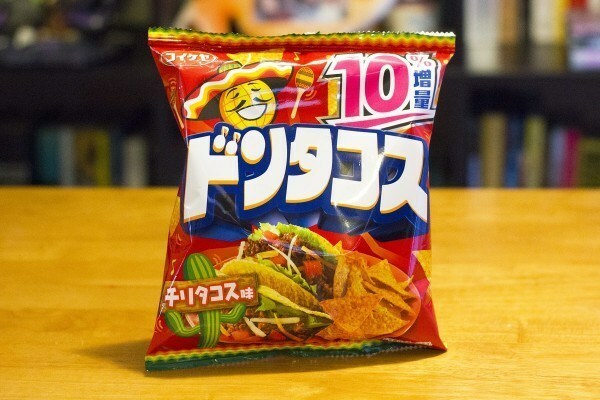 The corn chip is surprisingly sweet, which sort of balances out the spicy, salty powder on top. 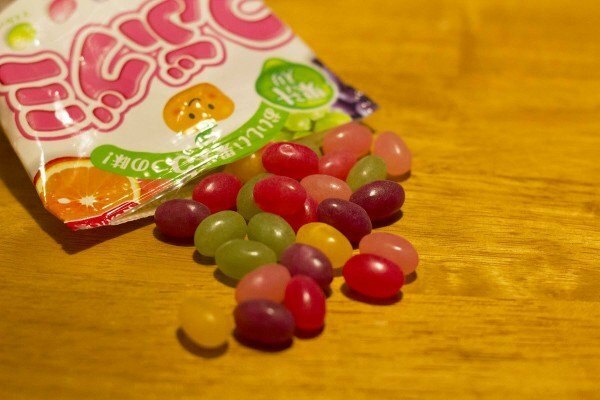 These may look like the generic American jelly beans that made me stop believing in the Easter Bunny, but thankfully the taste is purely Japanese – the grainy, sugary coating gives way to an apple, grape, orange, peach or muscat infused gummy that’s both more flavorful and chewier than those sold stateside. 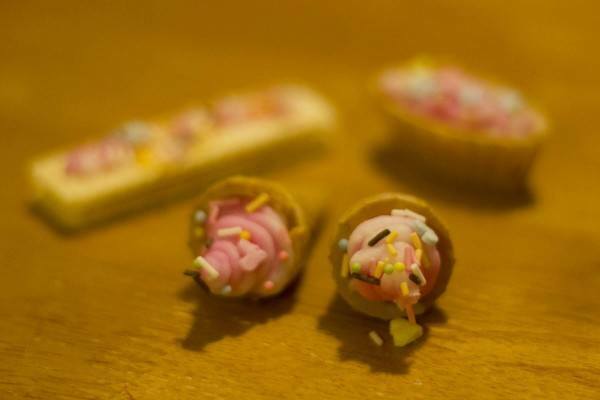 They tasted very similar to Poifull, if a little on the sweeter side. 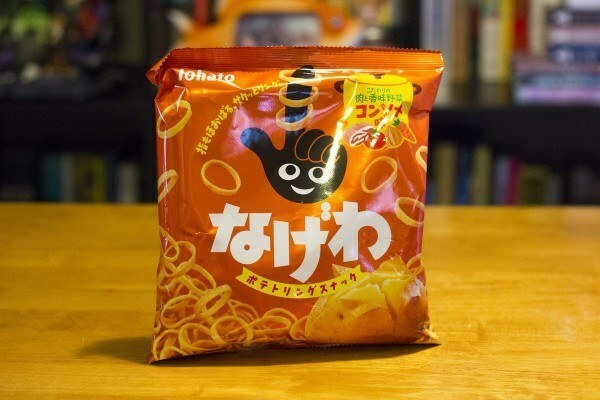 According to a quick Google search, “Mentaiko,” the marinated roe of pollock or cod, is often served over pasta with a mayonnaise or butter sauce. Fish eggs and mayo? Sounds like a taste-testing adventure, and I hope to one day experience it. But today was not that day! The picture didn’t match up with the product actually packed in the box, which seems to be a tamer veggie pot flavor. They taste like baked, buttery Pringles, but better because you can wear them. Three words: Strawberry. Fig. Newton. 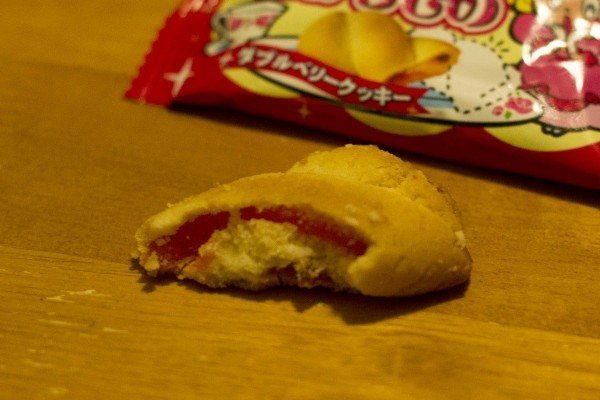 Though the product description bills it as a cookie, this is more like a pastry with a strawberry jelly filling. It tasted very artificial, like a Strawberry Poptart. But I love Strawberry Poptarts, so this was a win. 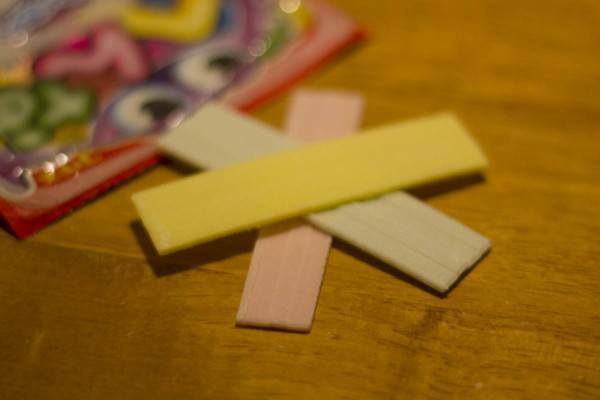 This gum had a very soft texture and subtle flavoring, like most Japanese gums, which made it hard to tell when it changed flavor from lemon, strawberry or blueberry to grape. It was much easier to tell when the flavor was entirely gone, because it happened quickly. 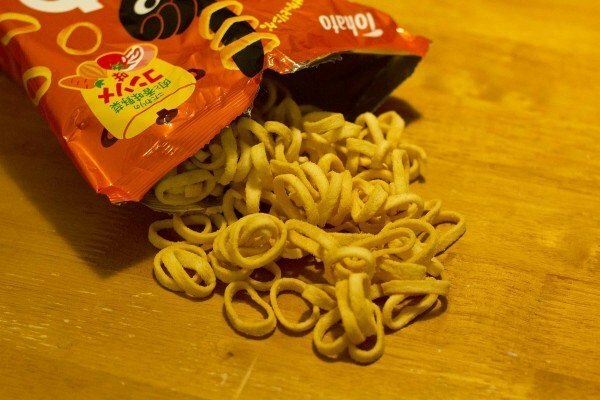 The flavor of this string candy was nice, but not the texture. 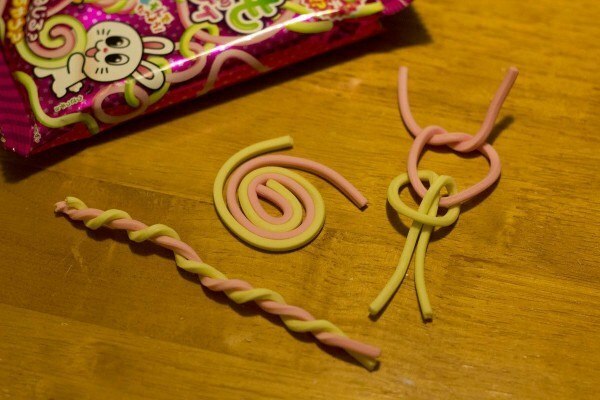 It was covered in a cornstarchy powder, like Hubba Bubba Bubbletape, with a consistency to match. 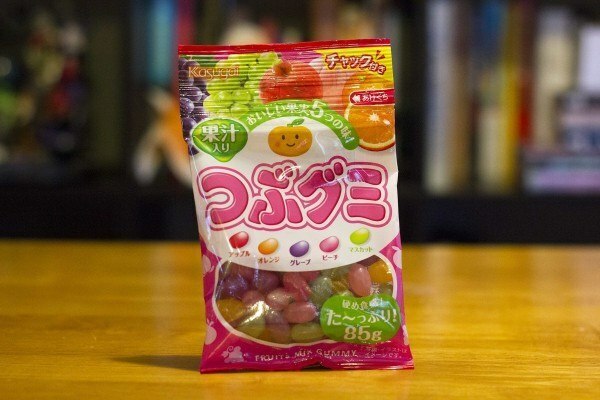 I am not a fan of treats that chew like gum but dissolve like candy, with the exception of Lotte Pokemon Chewy Pineapple Candy. Even the tangy taste of grape and muscat couldn’t assuage the feeling of wrongness. 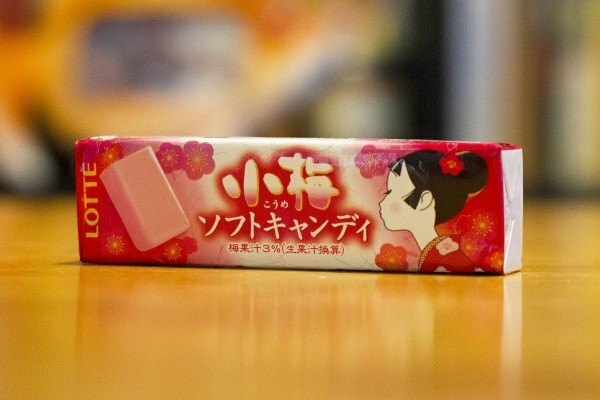 As much as I love them, I’m a bit burned out on Strawberry Hi-Chew, so this pickled plum flavor was a delightful departure from the norm. 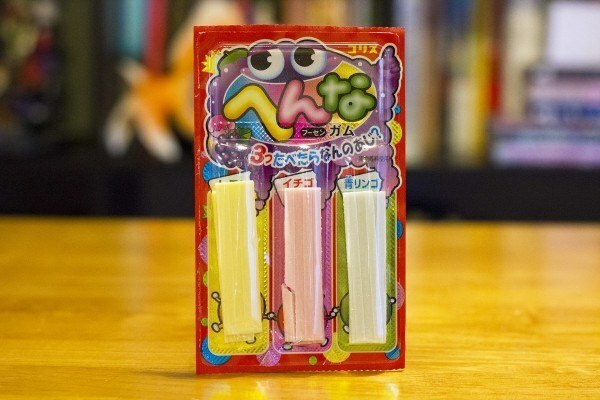 It had that same super chewy consistency I love in a Hi-Chew, but with a super sour, tangy aftertaste. “Umeboshi” or pickled plums are made from ume, which are actually more closely related to apricots than plums. 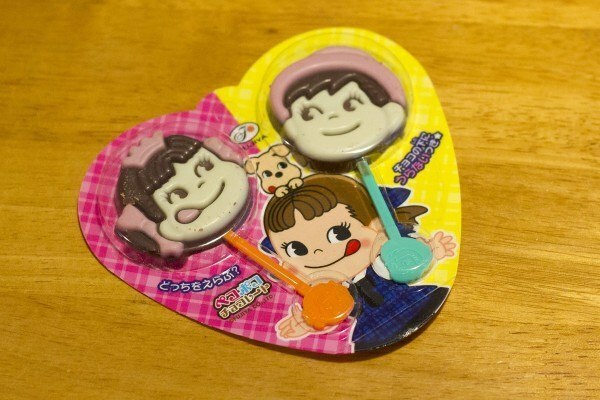 Fujiya’s mascot is Peko-chan, a pigtail sporting little girl licking her lips. 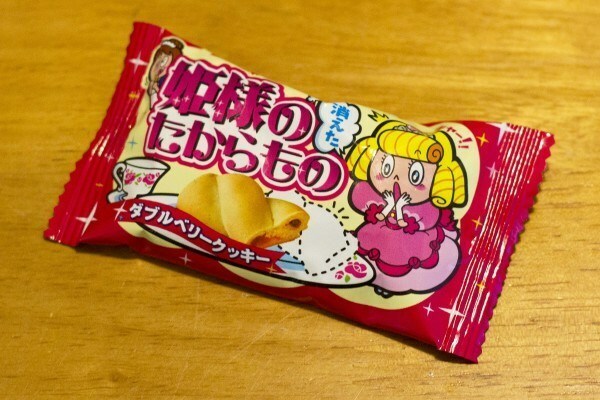 She’s a marketing icon in Japan – a less terrifying Ronald McDonald, if you will – so of course she makes an appearance in edible form for their Peko Poco chocolate. These were nice, even though they tasted like generic drugstore chocolate. Each color was a different flavor; white was white chocolate, brown was milk chocolate and pink was strawberry. 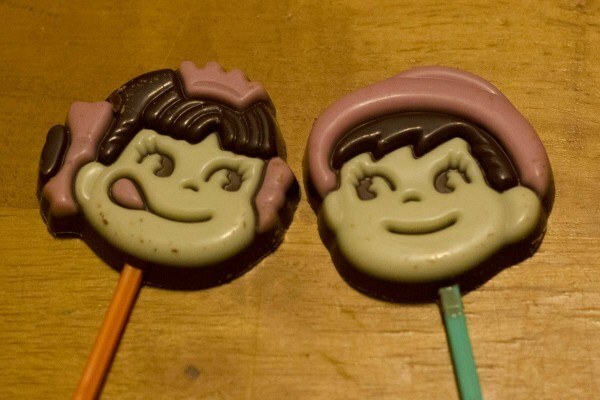 Of all the DIY candy kits I’ve ever tried, this produced the most adorable looking confections! Too bad they were also the most disgusting tasting. You start with the typical “mad scientist’s first chemistry set” process of adding water to powder packets to make “icing.” Scoop the icing into a miniature piping bag, squeeze it onto the wafers and adorn with sugar sprinkles. They look good enough to eat! But they taste flavorless and starchy or, according to my sister, like Elmer’s Glue-All. She was super specific about the brand – not Gorilla glue, not Krazy Glue, not even Elmer’s Gel Glue. So, she for sure eats glue. 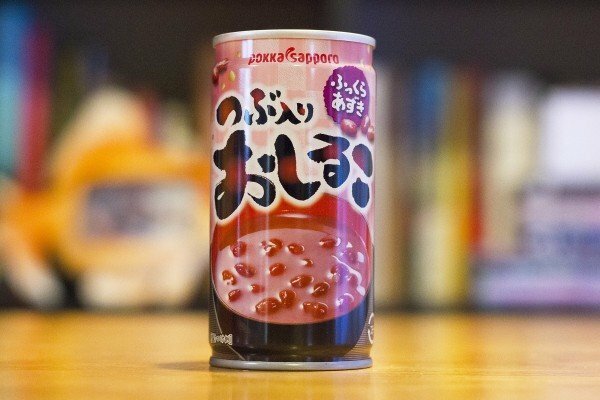 This month’s drink was actually a soup! 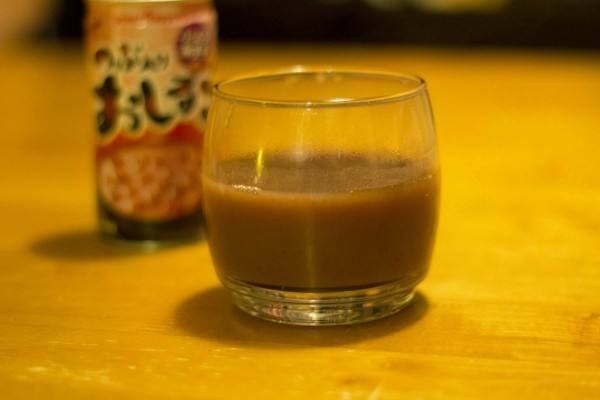 Ayumi-chan recommended heating it in a bath of boiling water before “enjoying it in its heated glory.” Surprisingly, the color was more oft-putting than the taste, which was a mix of brown sugar, adzuki beans and just a pinch of salt. According to my friend and fellow taste-tester, Chrissy, “if [she] had to have a sweet soup, this would be it.” When do you ever HAVE to have a sweet soup, Chrissy? Don’t let yourself be bullied into unwanted soup selections. Seriously, stop hanging out with people who force you to…oh wait, it’s me. 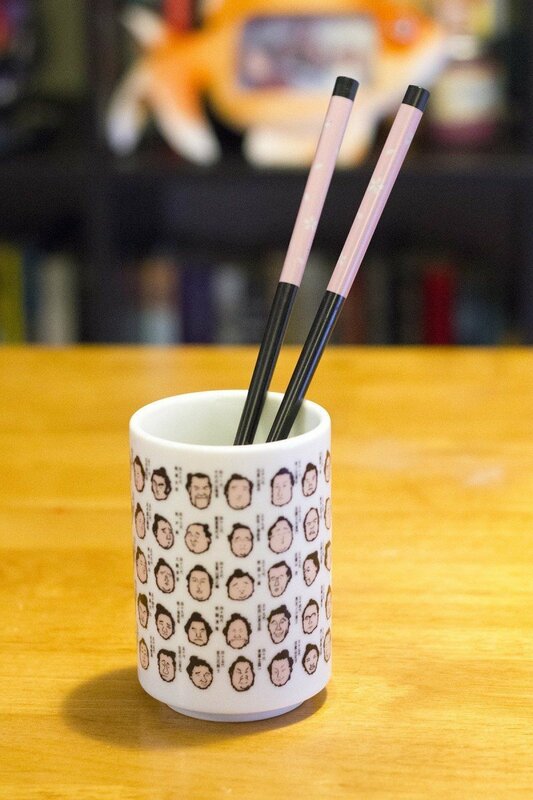 The special item this time round was a pair of traditional bamboo chopsticks. You can’t quite make it out in the photo, but they are decorated with soft blue flowers on top of an even softer rose colored background. Not the craziest or kawaii-est set of Japanese eating utensils in my ever-expanding collection, but free chopsticks are free chopsticks! They came wrapped in red paper sleeve with a fortune hidden underneath. I got “sho-kichi,” or average good luck, which means that “[me] and [my] lover might take some time to unite.” It’s been a 37 years already, so odds are good that my true love and my hospice nurse are going to be the same person. 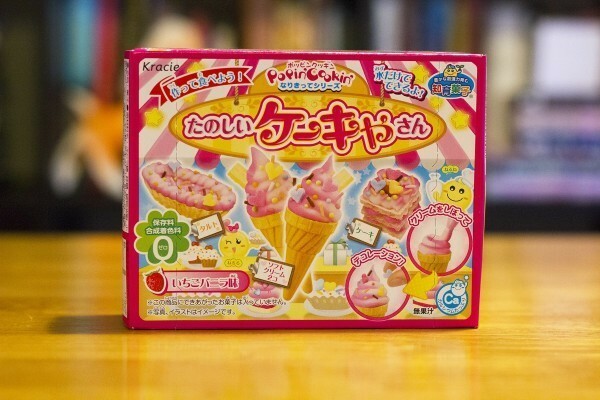 Building around a theme is a new approach for TokyoTreat, who in the last couple of months have revamped and redesigned both their boxes and website. 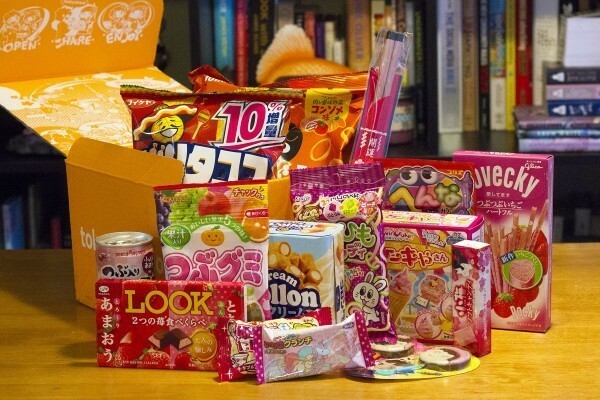 More than that, it’s a new approach for a Japanese candy subscription box, period. And, like the rest of the changes dictated by TokyoTreat HQ, it works. The key for me is that the boxes are only half-themed, meaning in addition to the carefully curated selection of strawberry snacks you also get a bag of chili taco flavored chips. 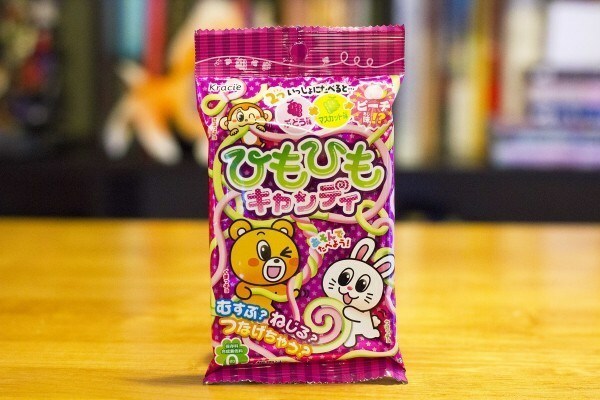 Even if you’re not crazy about a particular month’s theme – *cough* Pokemon *cough* – you’ll still be sure to get crazy, uniquely Japanese snacks.